Please review the following Policies for all San Francisco Gymnastics Families. Membership is required for all classes, including class tuition fees, unless otherwise noted. Membership remains in good standing as long as the student doesn’t drop for longer than four months and includes the class leotard or t-shirt. Membership also entitles the student to discounted events, camps and birthday parties. Insurance Fee is an annual fee and is billed annually from the date of the child’s first registration. : Membership requires a one-time fee which must be paid with Tuition and Insurance by your student’s second class. Membership must be renewed only if a student discontinues classes for longer than a four-month period. Membership is non-transferable. San Francisco Gymnastics reserves the right to cancel a student’s membership at any time. Skill Session: Use of the facilities during skill sessions on Saturdays (third Saturday of the month). All TUMBLEBUGS must be accompanied by an adult. Please read Skill Session Policies before participating. 1. The class must be missed before the class can be made up. 2. Once the class is missed contact the front desk to schedule the make-up. 3. Only two make up, per class, per child are allowed during a Term. Students enrolled twice a week are allowed two makeups per day enrolled. 4. Make-ups must be made-up within the term and scheduled in advance of make-up day. 5. Once scheduled, all make-ups are counted unless canceled prior to make-up day. 6. Adjustments in payment due to absences are not permitted. Exhibitions and Special Events: Members will be eligible to participate in various exhibitions and special events throughout the year including our annual show, parent’s night out and more. A SFG leotard for girls or a SFG t-shirt for boys will be issued free with membership payment. When a child moves up in level or outgrows his/her uniform, the family is responsible for purchasing the correct level leotard or t-shirt. Uniforms are to be worn to class. Please see our dress code policy. : All payments are due prior to the first day of the term. Payments made prior to the printed discount tuition deadline may deduct $6.00 off the regular tuition rate per student for that term. See session schedule for discount tuition deadlines. Cash and Credit Card payments may be made with the front desk person or online. Please provide the correct amount. If payment is not made by the tuition discount deadline, the child may be dropped from the class if a waiting student claims the un-paid space. Billing: Electronic Statements are e-mailed in advance of the term for your convenience. Classes are billed at the regular class rate. You may subtract $6.00 when paying prior to the printed discount tuition deadline. Uniform Dress Code: All students must wear their appropriate class uniform for all classes and open gym. Hair must be tied back out of face and no jewelry worn. 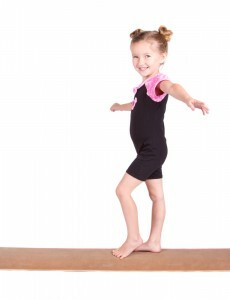 Students are to have bare feet or gymnastics shoes. In the event a uniform is forgotten, please ask about borrowing appropriate clothing. No skirts, jeans or clothing with snaps, zippers or pockets. Continuing Enrollment: Your space may be automatically held and you will be charged, unless advanced written notice of discontinuing is received by our office before the 1st day of the session. In addition, if your payment for class is not received by last class of your term, your spot will be given to the next name of any . Parent Viewing: Parents are welcomed to view classes at any time. Parents are to view from the designated areas. At no time should parents or siblings be on the gym floor (except when assisting a Little Bug or Busy Bee). Please do not sit in walkways. Please turn off cell phones and keep conversations quiet and to a minimum. Cell Phones: Personal phones are to be silent and put away in the gym. Please take all cell conversations outside of the building. Visitors: Visitors must sit quietly in the designated areas. Please do not talk to or otherwise distract the children participating in classes. Any interruptions could result in serious injury. Parents are not allowed on the floor for classes Grasshopper and older. Driver Responsibility: Parents please come in to drop off or pick up your children. We insist on all children waiting inside for their rides. Valuables: Valuable items should not be brought to the gym. San Francisco Gymnastics will not be responsible for lost or stolen items.